For detailed information on the major courses offered in the IID&GHTP, please refer to Curriculum -> Major course Offerings link in the left menu. 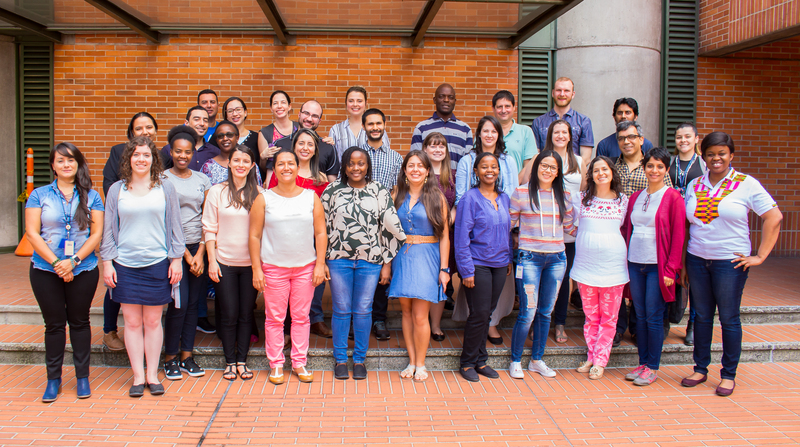 The "Practical Epidemiology and Field Studies" Course in Medellin, Colombia from February 4-15, 2019. 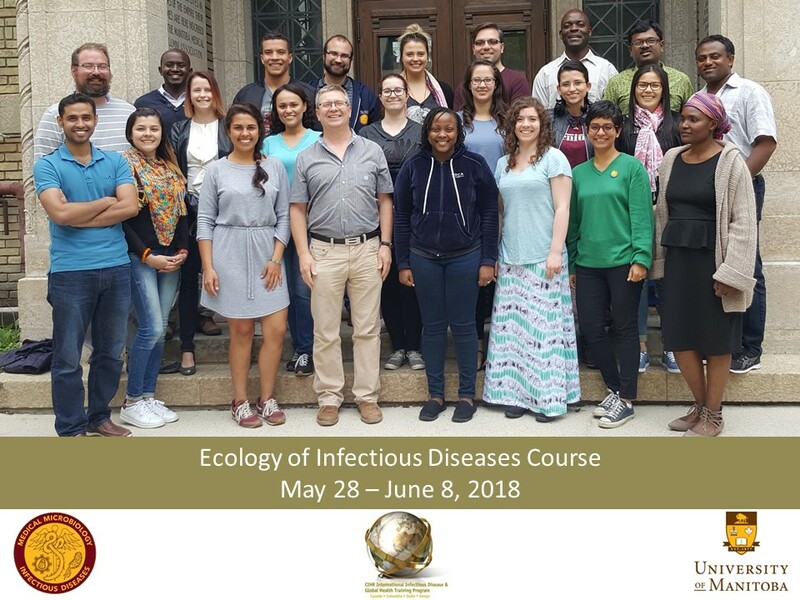 From May 28 - June 8 the trainees met in Winnipeg, Canada for the "Ecology of Infectious Diseases" (EcoID) course. 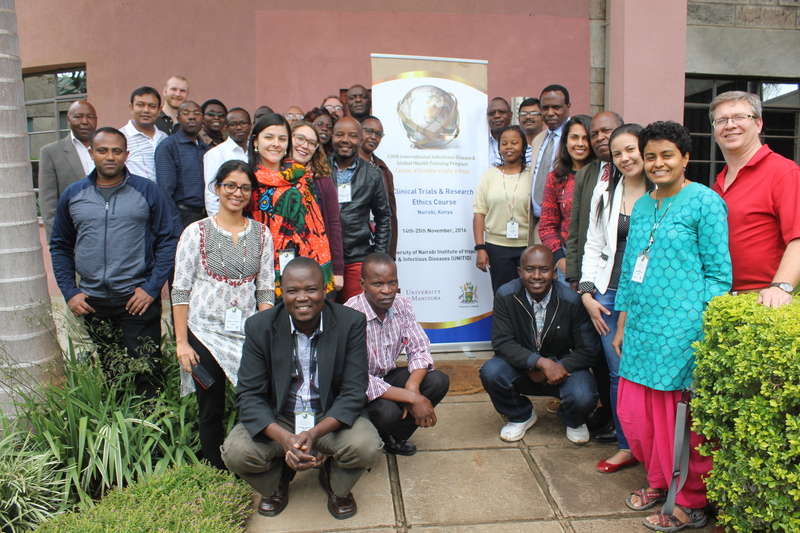 The major course in 2016 was held in Nairobi, Kenya on "Clinical Trials in a Developing Country Setting" from November 14-25, 2016. 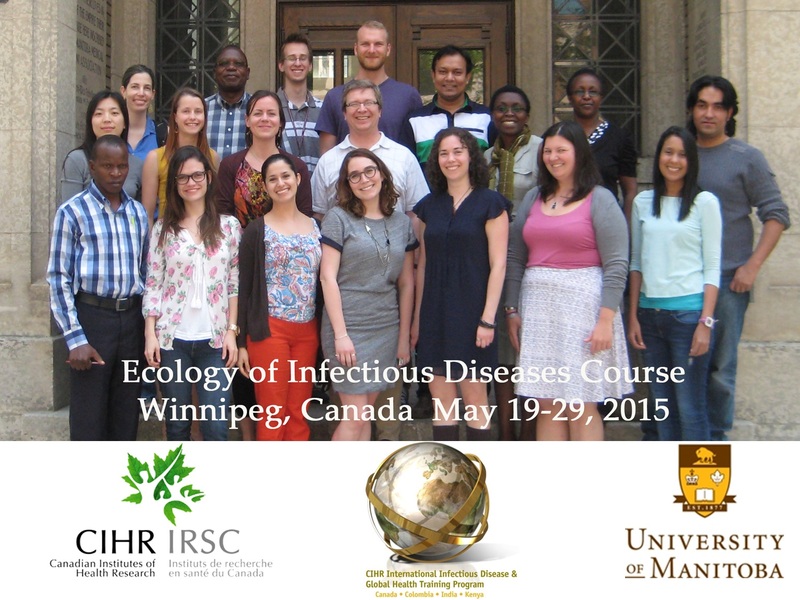 The major course in 2015 was held in Winnipeg, Canada on "The Ecology of Infectious Diseases" from May 19-29, 2015. 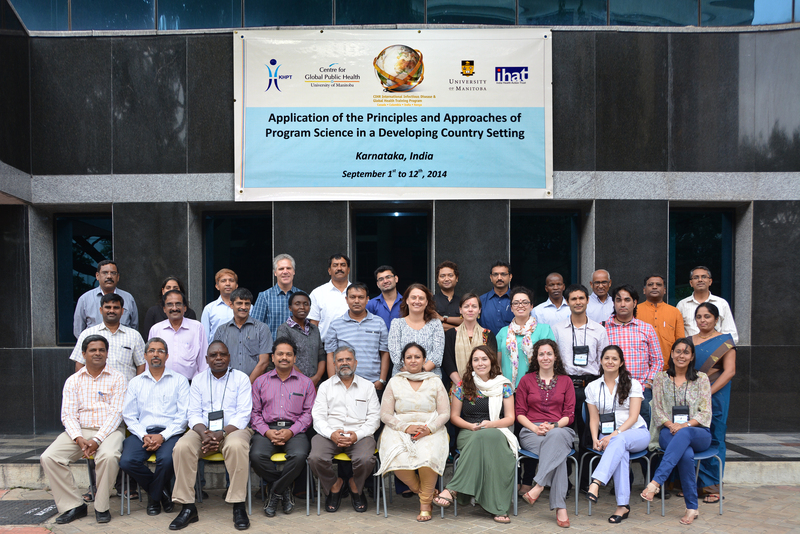 From September 1-12, 2014 trainees attended the major course in Bangalore, India on "Application of the Principles and Approaches of Program Science in a Developing Country Setting." One of the major courses in 2013 was held in Medellin and Riohacha, Colombia on "Practical Epidemiology and Indigenous Health" from August 8-23, 2013. One of the major courses in 2013 was held in Winnipeg, Canada on "The Ecology of Infectious Diseases", May 6-17, 2013. The major course in 2012 was held in Nairobi, Kenya on "Clinical Trials and Research Ethics in a Developing Country Setting*", January 29 - February 11, 2012. Please click HERE to view a handout of Dr. Keith Fowke's PowerPoint presentation at the course. Group attending the major course offered in Bangalore, India in February 2011. 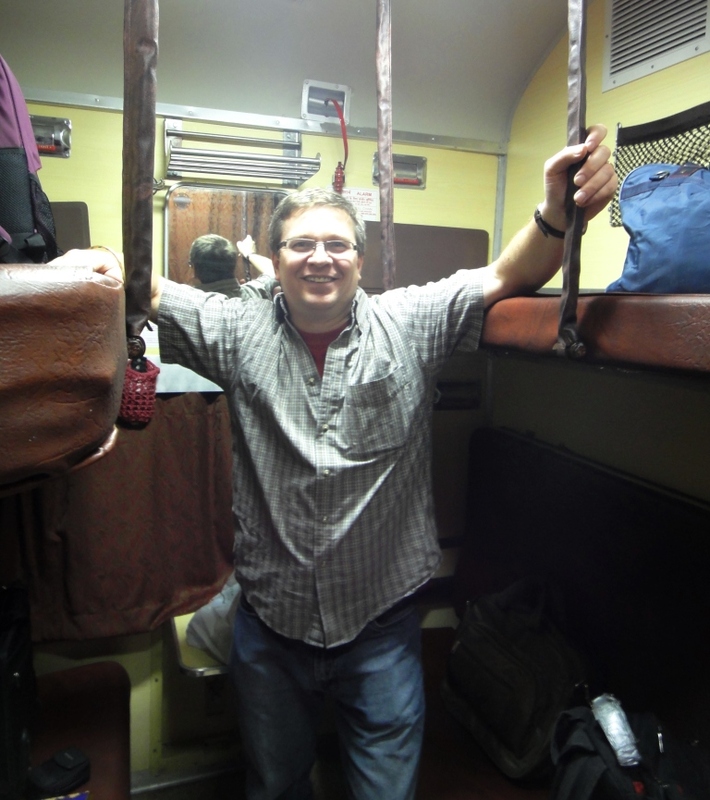 Dr. Keith Fowke on the train during the site visits in India as part of the major course offered in 2011. The major course held in February of 2011 was "Planning, implementing and evaluating scaled HIV prevention programs among vulnerable populations in resource-poor settings" held in Bangalore, India with the Karnataka Health Promotion Trust (KHPT). Please click HERE to view a handout of Dr. Keith Fowke's PowerPoint presentation to the trainees in Bangalore (2011). To view PDF documents, you need to have Adobe Acrobat, or the Adobe Reader installed on your computer. To go to the dowload site, click Adobe Reader download page. © 2009-2018 IID&GHTP. All rights reserved.